The interactive media culture competition PRIX MÖBIUS NORDICA takes place on March the 30th 2007 at KIASMA Museum of Contemporary Art in Helsinki, during the Pixelache festival (29.3-1.4.2007). This year Prix Möbius Nordica welcomes the Baltic countries Estonia, Lithuania and Latvia to participate and introduces a new prize category: Prix Möbius Nordica Experimental. This prize is dedicated to emerging digital practices, and organized in collaboration with Pixelache. The seventh Prix Möbius Nordica competition finalists are from Finland, Denmark, Sweden and Lithuania. The productions include interactive on-line films, innovative cultural services, and artworks. New in this year's competition are virtual instruments producing both sound and images, and performances in which images are manipulated in real time. The finalists will present their works at a fast paced “Pitching” event on Friday, March the 30th, 2007 (1 pm) at the Kiasma Theater, Museum of Contemporary Art Helsinki during the Pixelache festival. The Jury will pronounce the winners of the Prizes the same evening. The event is free, and open to the public. The founder and director of Prix Möbius Nordica Marita Liulia will chair the 2007 jury. Other jury members include the internationally renowned media researchers Geert Lovink and Ilkka Tuomi. Prix Möbius Nordica Experimental is a new prize category dedicated to emerging digital practices, and organized in collaboration with Pixelache. The first Prix Möbius Nordica Experimental is focusing on VJ practices. 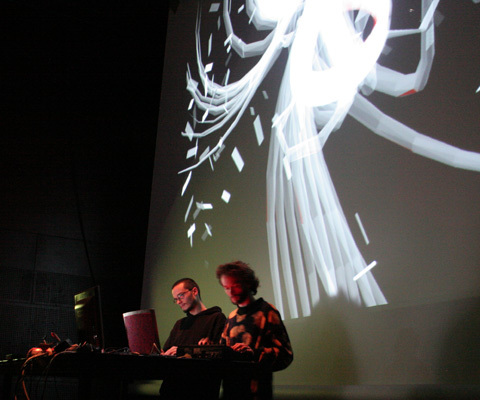 An international jury (including EyeCon from Austria and Gabor Kitzinger from Hungary) will choose the most interesting acts from the Pixelache Nordic VJ Meeting program and announce the winners on Sunday, April 1, in the evening .